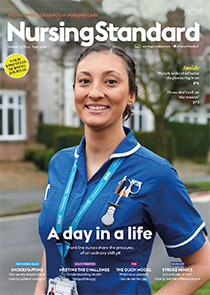 This is the fifth in a series of eight articles providing information about the Nursing and Midwifery Council (NMC) revalidation process. This article focuses on preparing five written reflective accounts for revalidation. Reflective practice encourages nurses and midwives to use their learning to identify areas for improvement. Reflective practice encourages nurses and midwives to relate their learning to the NMC code of professional standards of practice and behaviour. How recording and evidencing CPD will demonstrate the skills, knowledge and experience you have gained in practice. How you could use this article to educate your colleagues. All articles are subject to external double-blind peer review and checked for plagiarism using automated software.